YOUNG people are being drawn into increasingly serious cyber crime after beginning with acts of petty theft inside online fantasy games such as World of Warcraft, Britain's most senior cyber detective has said. Key figures within organised gangs involved in large-scale fraud are known to have moved from a culture of "laddish" online behaviour that is not punished into something "extremely corrosive", the director of the National Cyber Crime Unit of the National Crime Agency has told The Independent. "Any criminal has to have that moment when they start that path," said Dr Jamie Saunders. "There are some sorts of criminality that youngsters don't think of as serious. Stealing gold off each other in online games, cheating if you like. It would be hard to imagine a knock on the door from a policeman because you've stolen a sword off your friend in World of Warcraft." Work on the backgrounds of cyber criminals has indicated that "it does start with play: stealing swords and gold in online games. The second conclusion is the lack of awareness of the social cost of something that is criminal," he said. A new generation of young computer experts offering specialist criminal services has stepped into the breach ahead of traditional criminal gangs who have shown little sign of moving into the fast-expanding area that costs the country billions of pounds a year. Dr Saunders cited the case of a 17-year-old who pleaded guilty in December to money laundering and computer offences following an attack on a Dutch group which attempts to stop spammers filling email inboxes with ads for counterfeit Viagra and other scams. The teenager offered tools for sale that led to one of the world's biggest online attacks and the proceeds saw tens of thousands of pounds flow through his account every month. He is due to be sentenced later this year. World of Warcraft is a massively multiplayer online role-playing game where players take on fantasy avatars to battle and complete quests. "We have got people who are not necessarily motivated by the money, but either by the challenge or particular motivation… and can do a great deal of damage, but not in a traditional criminal way," said Dr Saunders. "We're not talking about yobs. I think we're talking about people who are experimenting. We find that they don't always realise what is legal and illegal." "We're beginning to track that beginning of criminality and understand that," said Dr Saunders. "We're looking at those cases and trying to see patterns that [warrant] early intervention. The first point that has come out of this is that it does start with play: stealing swords and gold in online games." 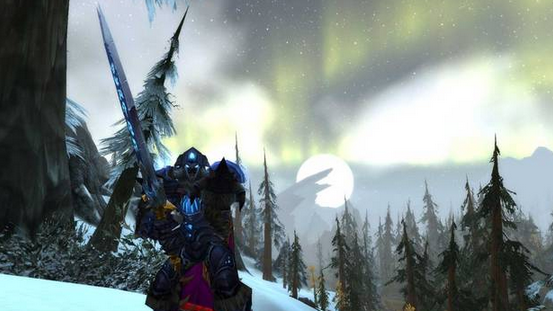 Players in World of Warcraft - the highest grossing computer game that has made more than £6bn - are able to buy items during the game using real-world cash and then trade them online, opening the way to hacking, duping and potential theft. Mike Weatherley, the Conservative MP and former adviser on intellectual property for David Cameron who has called for equal sentences for real-world and online theft, said: "We're not talking magic sword theft, we're talking about some theft in real life, and actual monetary loss". Police have targeted potential young cyber criminals with home visits after receiving a list of buyers of hacking software and followed them with letters to parents warning of the repercussions. While owning a hacking tool is legal, using one is not. Dr Saunders' comments follows a speech in the US by the head of the National Crime Agency, Keith Bristow, who said that the next generation of criminals were more likely to be operating online than "smashing windows and grabbing television sets". "Throughout history, feeling disenfranchised and disempowered has driven young people to demonstrate their frustration - and now cyber attack is a new tool by which they can do that," he said. Senior law enforcement officials have said that they know the identities of many of the kingpins of the scams. But with many of them are beyond jurisdictional borders they have gone after lower-level figures. British operations have targeted testers, technical experts and money mules responsible for laundering the proceeds of online frauds. The online market - with rigorous vetting, and encryption - has developed to an extent where the ability of criminals to "attack will likely outpace the ability to defend", according to a 2014 report by the Rand Corporation. It has also driven down the price, with the cost of a cyber attack to take down a business rival costing less than £2 an hour. The report found that despite notable victories against illegal sites such as Silk Road - which traded drugs and other illegal items in an eBay-style marketplace - and global operations by police forces against sophisticated online bank frauds, the hacker economy has proved resilient. The National Cyber Crime Unit (NCCU) was involved in an FBI-led operation last year to break malicious virus known as Gameover Zeus, responsible for infecting millions of computers. It had allowed a ring headed by a Russian-based hacker to make millions by locking up computers until the user paid a ransom. Since the break-up of the cyber crime, some of the organisers are thought to be plotting a new scam. World of Warcraft is perhaps the most widely known title in the "massively multi-player online role-playing game" (MMORPG) genre. The game has a central storyline, but players can take on additional quests. Multi-player tasks such as "dungeons", where players are encouraged to co-operate to reach a common goal, are included. But there is also a major economic element: players can fight duels with each other and often put wagers on the outcome. Depending on the race of their chosen character (such as human, Pandaren or goblin), the player is assigned to one of two opposing factions, Horde or Alliance. Each faction has its own storyline, although the two intersect. Created by Blizzard Entertainment in 2004, it is the fourth game in the Warcraft series, and is the world's most subscribed MMORPG, with more than 10 million subscribers. The game has five expansion packs and the base game costs £9.99, while subscriptions begin at £8.69 per month for six months.